Before deciding on where to study, you will need to find a subject you are truly passionate about – as you will be spending a large amount of both your timetabled and spare time engaging with your chosen subject. So why study history? A tutor once started my seminar by stating that “The study of history is essentially pointless, as we cannot aim to change the past. But we can aim to change the future.” As odd as this sounds, this is arguably the main difference between the study of history at school and at university. At degree level history is much more about applying historical events to current and future life, and examining the different historiographical debates surrounding events – why was something written about in a certain way? What can this tell us about the way histories are written today? How do we project our own preconceptions of society onto our interpretation of these histories? These sorts of questions contribute to a richer, more complex and fulfilling meaning to studying history than you may have already experienced at school, and if you have an interest for exploring and learning about new places, cultures, time periods or even specific individuals in order to understand how the world developed as it did, then history is definitely the choice for you. If you have already decided on studying history and are struggling with the daunting number of different courses and cities to choose from, then there really is truly no better choice than Leeds as your next step. Besides the fact that it is an exceptionally vibrant and student friendly city with both a buzzing nightlife and a welcoming feel, Leeds is also particularly unique in its historical background. Most famously Leeds is the heart of industry, especially wool and cloth making factories, and wartime histories. You can see remains of this rich history at every turn in the brickwork of converted cloth works, war memorials, and even the university buildings themselves. On countless occasions my lecturers have referred to landmarks within the city when teaching and it makes such a difference to feel your studies are a part of the history of the city. On the flipside of course, a huge number of current historical research emanates from Leeds itself, and many historians you will study will have done most of their work and research in Leeds. 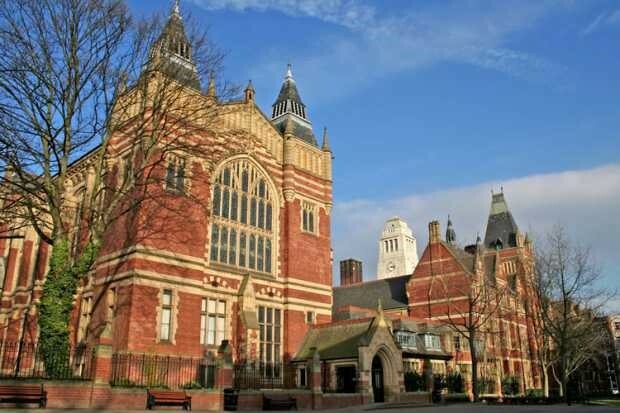 With a massive emphasis on research-led teaching, most seminars are taught by professors who are at the forefront of research in their field, and Leeds provides the ideal environment for this due to the vast collections of original manuscripts and other documents held within the University’s beautiful Brotherton Library. Most of your first year will be aimed at developing your research skills and giving you a broad overview of historical eras spanning from the middle ages to the present day. This will help you to identify your areas of interest to specialize in during your second and third years. What’s it like to study a history degree? This research-led approach can take some getting used to. Whereas maths and science students will typically have university from 9-5 every day, historians have very few contact hours (usually around 6-7 hours per week). This means you need to be really passionate about history, as the course requires a lot of independent learning and structuring of your hours. It is left down to you to motivate yourself to fill your non-timetabled hours appropriately with work, and it is very easy to become overwhelmed by the workload if you do not make the most of spare hours for independent work. This can become especially stressful when it comes to completing coursework, as most assessment is essay and exam-based (although some modules may include low percentage presentations as forms of assessment). Coursework mainly consists of 2,000-word essay questions, or occasionally literature reviews or annotated bibliographies designed to develop engagement with historical debates and sources. These are submitted electronically online through the ‘Turnitin’ portal, and as with all other courses it is very important that coursework is submitted on time, as there is a deduction of 5 marks for every day an assessment is late in. Although the university does offer some help with essay skills, and naturally your abilities will progress with time, it is important that you are comfortable with reading and writing as your main forms of learning and expressing yourself, and time management is again very important in order to avoid being penalized for late assessment. Aside from coursework, History at Leeds is assessed through exams both in January and in June/July at the end of the academic year. Often assessment in terms of coursework verses examination is weighted 40:60 or thereabouts (different modules sometimes vary from this). This therefore means that although the exam is often worth more than the coursework, it is possible to enter an examination having already achieved almost half of your overall module mark, which I personally find relieves some of the pressure, as exams can often be even more stressful and daunting when they count for the entire mark. Research-led teaching, a historically vibrant city and excellent availability of source material is what makes history at Leeds especially current, unique and inspiring! Written by - Philippa L.